Adani Group was established in 1988 as a trading company. its headquarter at Ahmadabad, Gujarat.The Adani Group's steadfast commitment to building assets for future generations by Solar PV module manufacturing using advanced technologies of Multi crystalline module, Mono crystalline module and Dual Glass Bi facial module .Adani Solar cutting-edge technology, scale of operations, cost leadership, and reliability set up apart from all other global competitors. and supporting utilities. 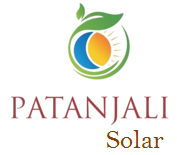 Adani solar produce hi tech solar panel modules using advance and latest technology. Adani solar aim is to become fully integrated solar panel manufacturer in 2020 with a capacity of 3 GW. 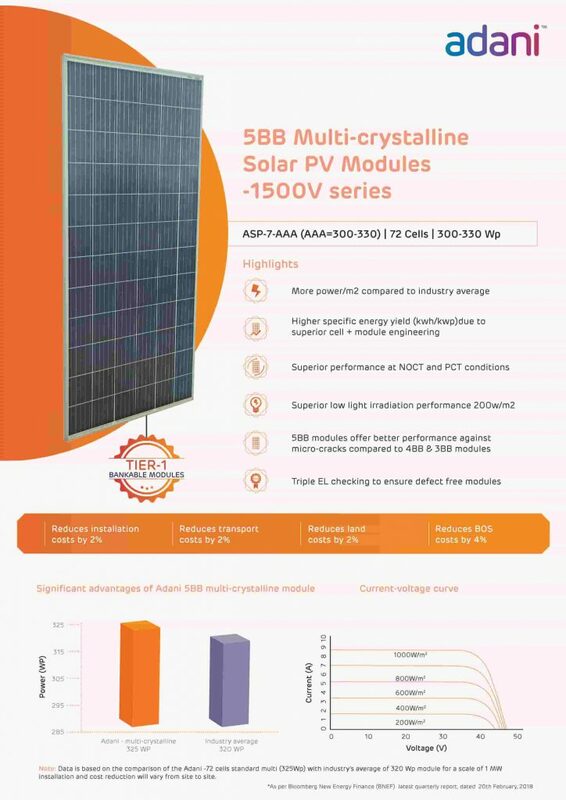 Adani solar Tier 1* bankable module manufacturer*** with 25 year history. Adani solar has Torsion and corrosion resistant with anodized aluminum frame. Cells sorted by power and current to minimize losses in the Adani solar panels . Adani solar panels are highly reliable IP67 rated junction box. Electroluminescence tested for microcracks in Adani solar Panels. Adani solar has high cell efficiency means optimum output. Adani Solar has multi layer encapsulation provide better module protection. Adani solar has high torsion resistance against wind load and snow loads. Consumers can have confidence that the product is safe, reliable and of good Quality with the brand name Adani.